Cheech told me a secret. 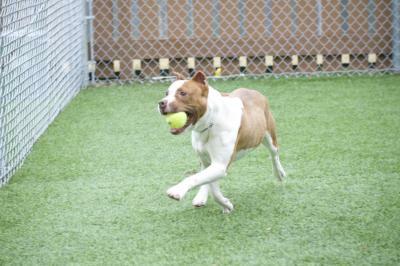 His favorite word is “Go!” whether it’s for a walk or a car ride or especially if it’s to meet his new furever family. 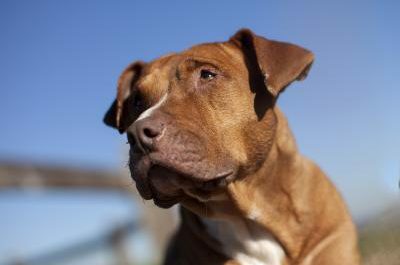 His vital statistics – he’s almost seven years old, has brown and white fur, is a Boxer / Am Staff mix and weighs a trim 35 pounds. Kind of the “total package,” you might say. Word from his foster family is that he’s just a terrific, easy-going, sweetheart of a guy. He’s well mannered and does great on his leash. Continued training will be much easier as he’s treat motivated and a fast learner.